It started with a simple book series featuring three girls: Samantha, Kirsten and Molly. Each grew up in a different time period, and each had exciting adventures to share with young readers. Stories included unique historical references that educated young girls on how life was during a different era. Today, the American Girl collection has expanded to include more female heroines and more avid fans. The stories and American Girl dolls and toys are must-haves for little girls and collectors alike. Kirsten, a pioneer girl, was born in Sweden but settled in Minnesota with her family in the 1850s. She teaches girls that home can be anywhere and the value in learning to adapt to change. Samantha, an orphan, lived with her wealthy grandmother in the early 1900s. Her friend Nellie helps teach her that life is not all about money, and the importance of helping others. Felicity lived in colonial times in the 1770s and had to learn to get along with those, like her best friend Elizabeth, who did not agree on the state of America's independence. Addy, the first African-American doll, lived during the Civil War in the 1860s. She escaped slavery and learned the importance of relying on family during difficult times. Molly lived during World War II and began to understand the importance of sacrifice to reach a goal as she worked to show her patriotism by helping during the war. Kit learned what it was like to go without while living during the Great Depression. Rebecca, who is Jewish, lived in the early 1900s and had to learn to blend her family's old Jewish traditions with newer traditions and desires. Marie-Grace and Cecile lived in New Orleans in the 1850s. One white and the other African-American, they formed an unlikely friendship as they cared for others. Josefina, the first Hispanic-American girl, lived in the 1820s and had to deal with the difficulties that came with losing her mother and making new memories. Kaya, a Native American, learned about being a leader as she dreamed about leading her tribe during the 1760s. Julie lived in San Francisco in the 1970s and learned to handle change as her parents went through a divorce. Caroline lived in New York during the War of 1812 and dreamed of being captain of a ship, just like her father. McKenna, 2012, who is a skilled gymnast but struggles with reading. Nikki, 2007, who loved to volunteer and trained service dogs. Marisol, 2006, who loved to dance and used it to cope with changes in her life. Kailey, 2002, who liked to speak out about causes she believed in. In addition to the main dolls, the series includes the My American Girl collection which allows girls to design a doll to look just like them. Girls can customize the hair and eye color of their dolls, choose a specific skin color and whether or not the doll has freckles and even choose the kind of hairstyle the doll has. Once the basic doll has been chosen, girls can choose an outfit and add accessories such as earrings, glasses, or braces, and even give her a pet. The doll also comes with a subscription to Innerstar University, a place to interact with other girls and their dolls, play games and learn in a fun online world. Part of the fun of having an American Girl doll is all of the accessories available to purchase. 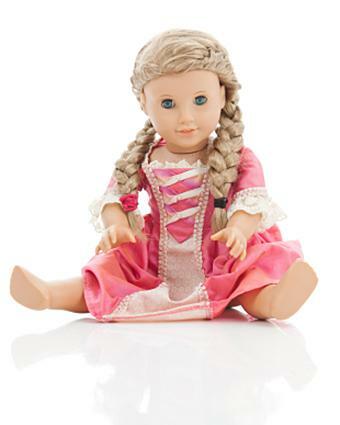 These include clothing, furniture, accessories for the doll's hair and special accessories related to the doll's interests. Most notably, girls can purchase coordinating outfits so they and their dolls can dress alike. 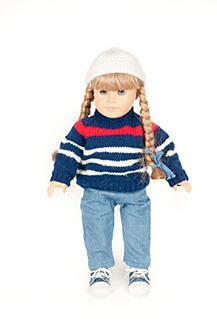 While the dolls and their accessories are extremely popular, the American Girl series comes to life with its books. The books are designed to teach girls valuable lessons, empower them to be strong women and, with the historical books, pique their interest in history. Each historical doll is featured in a series of books based on her life. The first book in the series is usually a meet the character book, for example Meet Addy. In addition the series typically includes a book about changes, a book about learning a lesson, a happy birthday book, a saves the day book and a mystery book. Books in each character's series may be purchased individually or as a set. As the American Girl collection has grown, it has started to include more contemporary fiction. The collection features books based on the Girl of the Year, along with other stories featuring characters based on the dolls. Some of the books offer multiple endings and allow girls to make choices as they read through. Special content related to the books is also available online through Innerstar University. 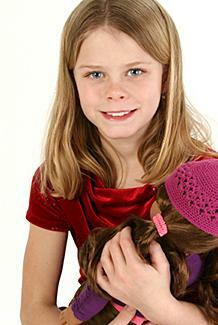 The American Girl collection includes multiple activity books and craft sets for girls. They range from question and answer books to craft projects to inspire interaction with their dolls, creating friendship bracelets and making paper art. All of the American Girl dolls and toys are focused on empowering girls and teaching them positive lessons. They encourage girls to stand up for what they believe in, take on challenges and learn to handle difficult emotions. The dolls do not wear skimpy clothing or act inappropriately. In the stories they may occasionally misbehave or make a mistake, but they always learn a lesson as a result. While girls will enjoy playing with the dolls and reading the stories, parents can rest easy knowing they are learning valuable lessons at the same time.